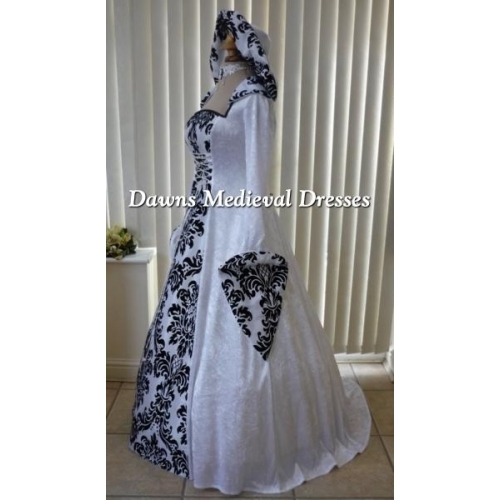 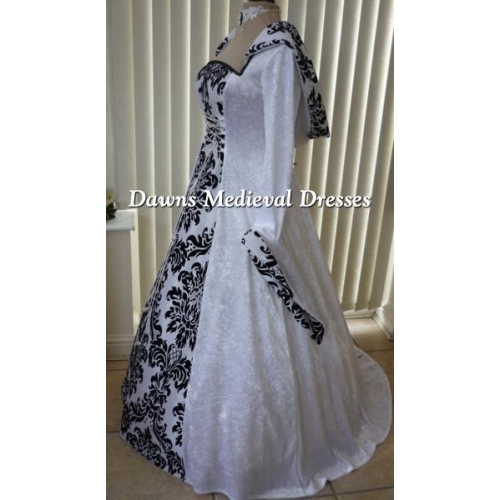 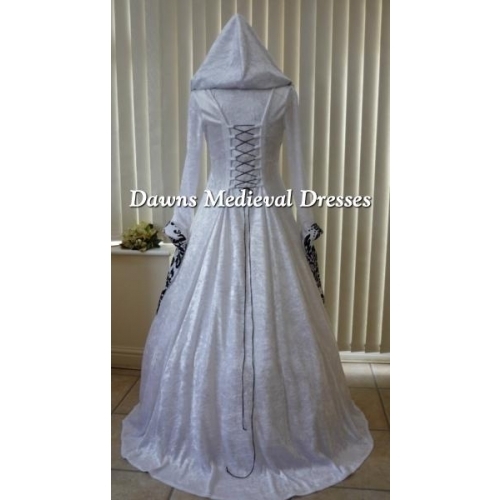 The main part of this gown is made from a lightweight White velvet (which contains a small amount of lycra for a more comfortable flexible fit ) teamed up with a breathtaking white Taffeta middle panel with beautiful Black velvet detail. 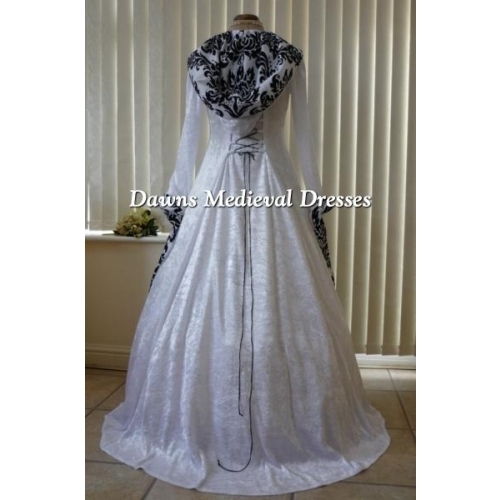 Semi fitted style with a wonderful v cuff which has been lined in matching taffeta , you can wear these two ways either left to drape down over the hand or turned over at the cuff section. 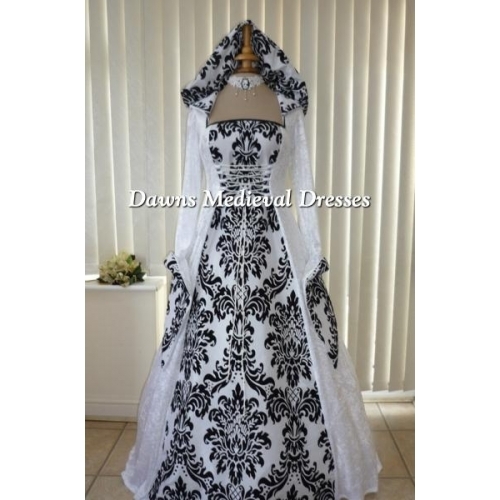 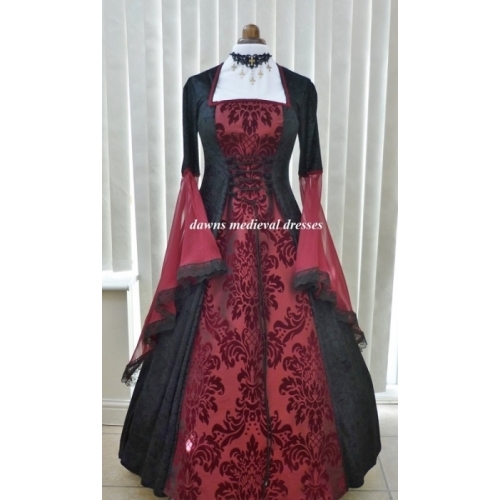 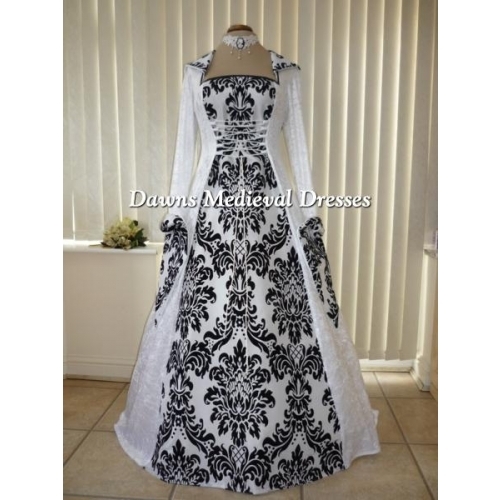 I have added black and white lacing as this add's more definition to your dress. 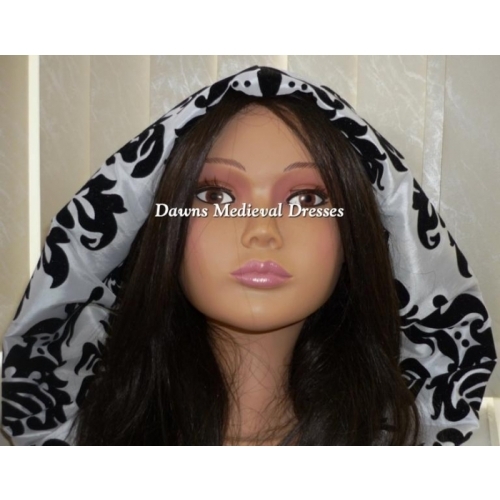 The dress can be washed, instructions will be supplied with your order on how to care for your dress.